From time to time, you need to have a PDF of you Excel file (*.xls or *.xlsx) but you don’t know how to convert *.xls or *.xlsx to PDF. This small tutorial will guide you to complete this task in a very easy way. 2. Open the XLS file and select File->Print… in the application main menu (as shown in the picture below). 4. On the settings panel, click Load Properties. 5. Use the Open option to select “Worksheet to PDF.xml” and click Open. 6. 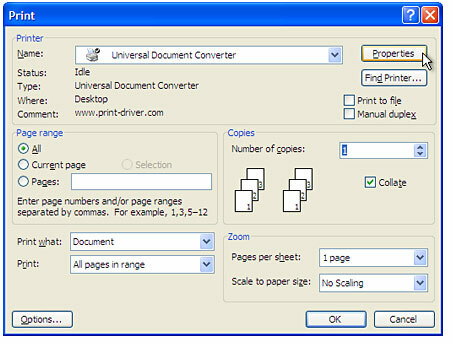 On pressing OK, Microsoft Excel Print Dialog will starting converting to PDF. 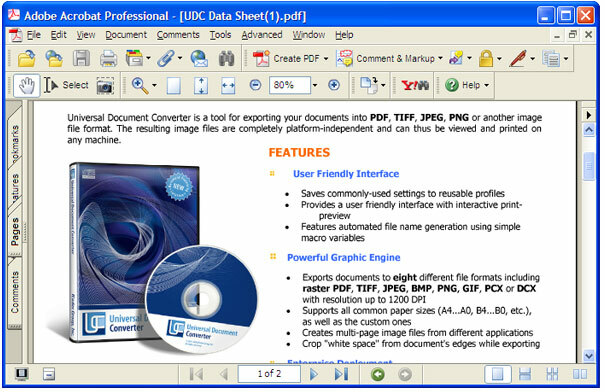 Once the PDF is ready, it will be saved in My Documents\UDC Output Files folder by default. You can change the settings of default folder from Settings area. 7. Once the PDF file is ready, it will be opened in Adobe Acrobat or any other Viewer you are using for PDF files. 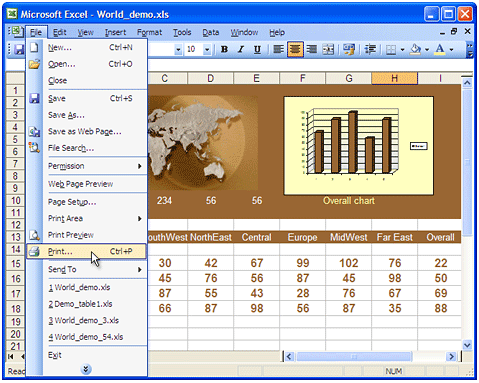 This way you can convert xls to PDF very easily. Hope this helps! 2 Responses to "How to Convert xls to PDF"
You can even use cutepdf its fairly simple and easy to install. A very tiny software installs as a printer driver and generates high quality pdfs instantly. You can convert images, documents, presentations, spread sheet easily. Can we convert the xls files manipulating values from different sheets? and also, can this software print multiple sheets as pdf or not?